This is the second night in a row I woke up at 2:50 am exactly and could not go back to sleep. Forget counting sheep - it stopped working for me a long time ago. So, after a few minutes of repeating mantras in English and Portuguese (Hey, why not?) I gave up and got up. I was nice to myself because I have a cold: herbal tea, Cold-Eeze drops, flannel quilt. I worked for a few hours designing quilts for a client, then began perusing my stack of new quilt books. 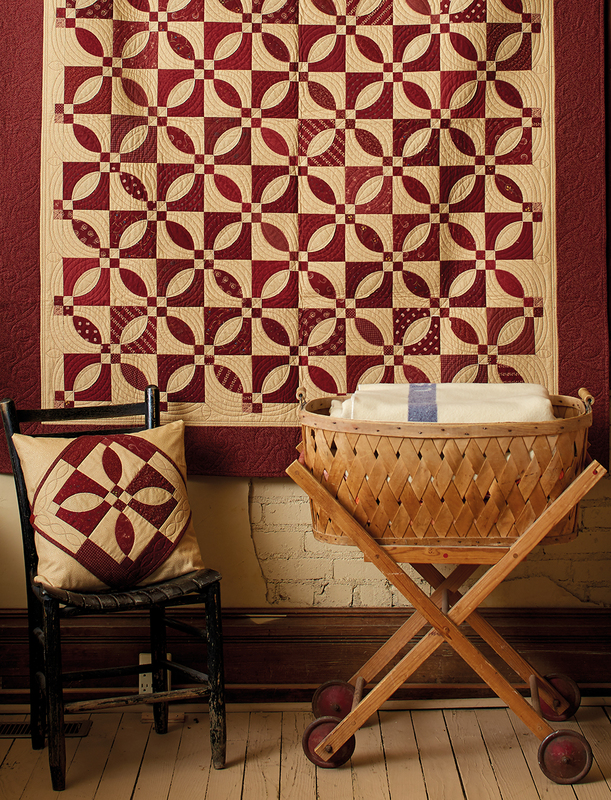 I grabbed Martingale's Kansas Troubles Quilters Cozy Quilts and Comforts: Easy to Stitch, Easy to Love by Lynne Hagmeier, read the front cover teaser "Try a New technique pg. 6" and headed right over to page 6. Wow! 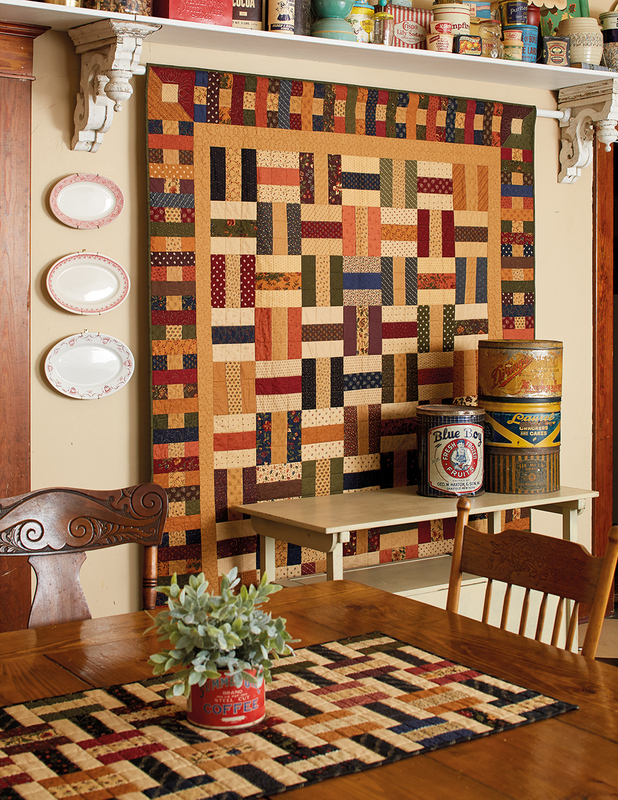 Have you ever heard of Lynne's layered patchwork technique? OMGoodness. I had to read it twice not because it was difficult or poorly explained - I just could not believe my eyes! What a great way to use precuts or fabric from your own stash which you cut using a pinked-edge blade on your rotary cutter. I love Mending Fences for its design simplicity and clever construction. This quilt can be put together in no time at all using Lynne's construction method. A must-try! As you see above, Lynne includes in the book smaller versions of some of her projects, too. This is Skipping Stones, also assembled using Lynne's layered patchwork method. Isn't it gorgeous? My mouth is still hanging wide open after reading the assembling instructions for Spinning Stars, above. I made a similar quilt a few years back and I bet I spent more time on that wall hanging then Lynne did on this 62-1/2" x 78-1/2" quilt. Dang! Checkerboard Garden is beautiful! This is one of her traditionally pieced projects in Cozy Quilts and Comforts. Those flowers are whimsical, original, and another must-make on my list which is growing by the minute. 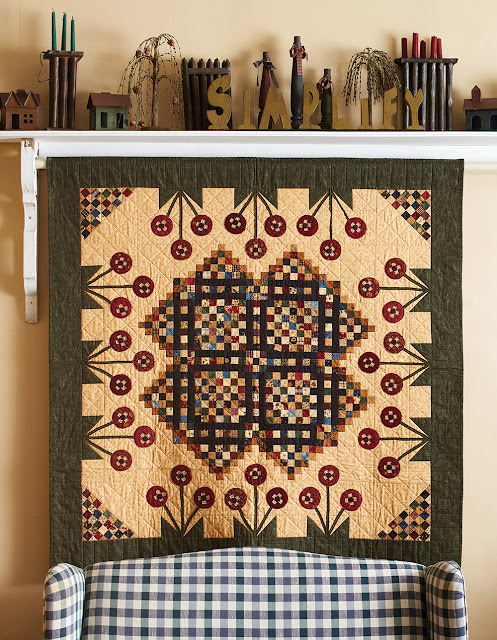 As I mentioned before, the layered patchwork technique is well explained with step-by-step photographs beginning on page 6. Then, with each pattern, you get instructions unique to the project you are working on so there is no guesswork. 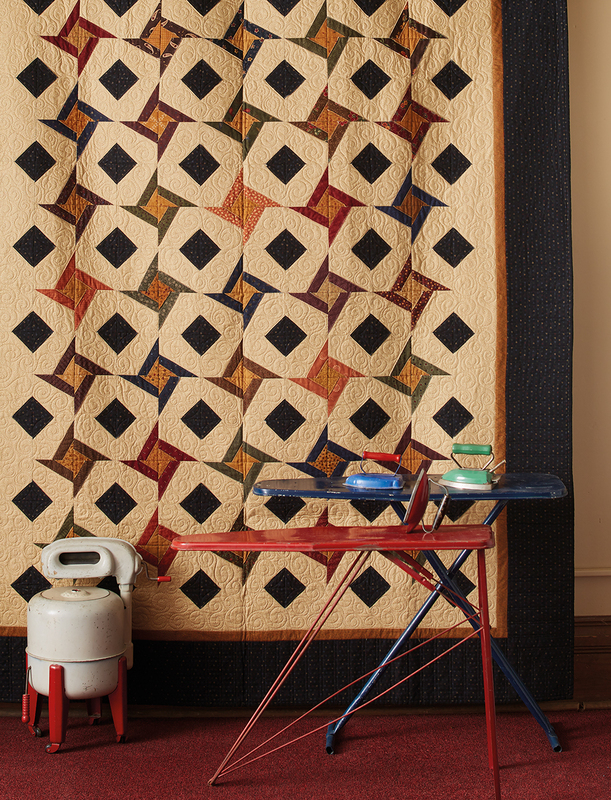 A long-time fabric and pattern designer, Lynne Hagmeier has been gracing our lives with amazing quilt designs for many years. 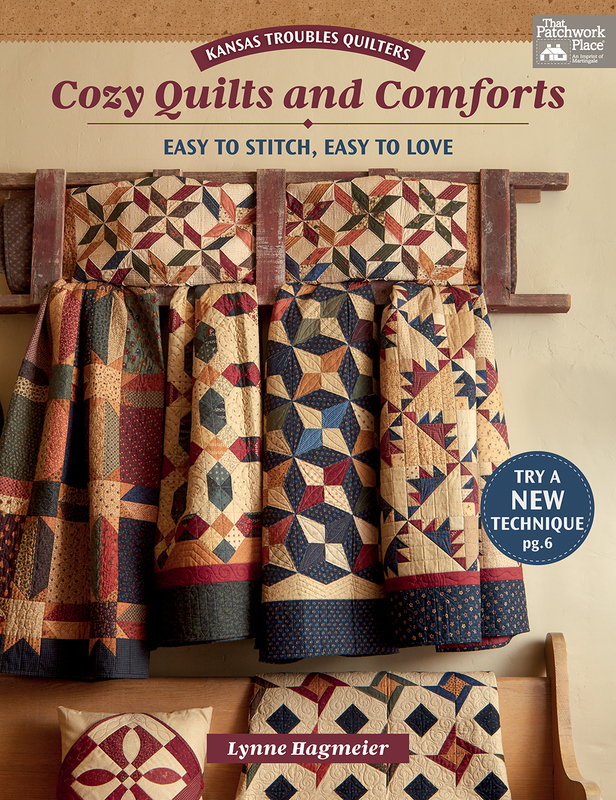 This book is a wonderful addition to my quilting library, and her layered patchwork technique is another trick I will have up my sleeve and use not only on the projects in the book but also the next time I am stuck trying to figure out how to simplify a block's construction. Brilliant, Lynne! This is how I am ending 2017: with a renewed passion for designing and making quilts, with gratitude for the talent in the quilting (and arts & crafts) community, and with the desire to spend many many hours creating in 2018. For now, though, I may need to go back to bed for an hour or so lest I will be the neighborhood zombie today. Have a healthful, successful, and Happy New Year!